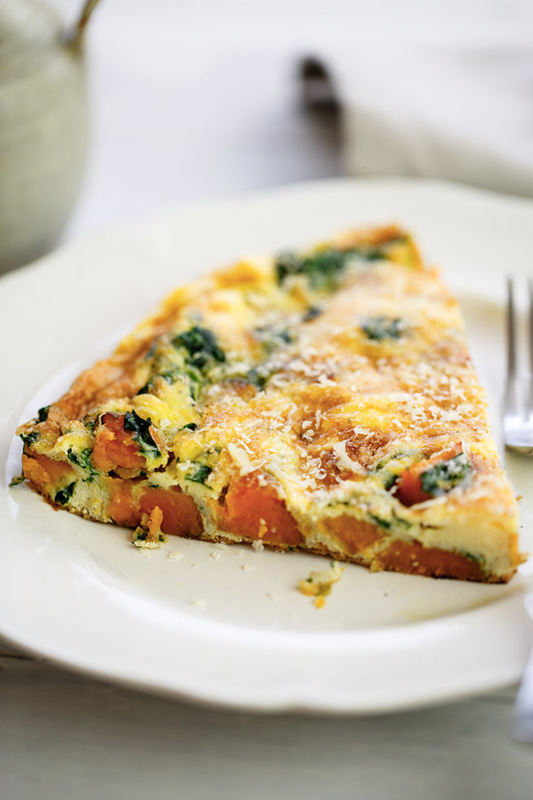 This frittata is a perfect example of simple Italian cooking. 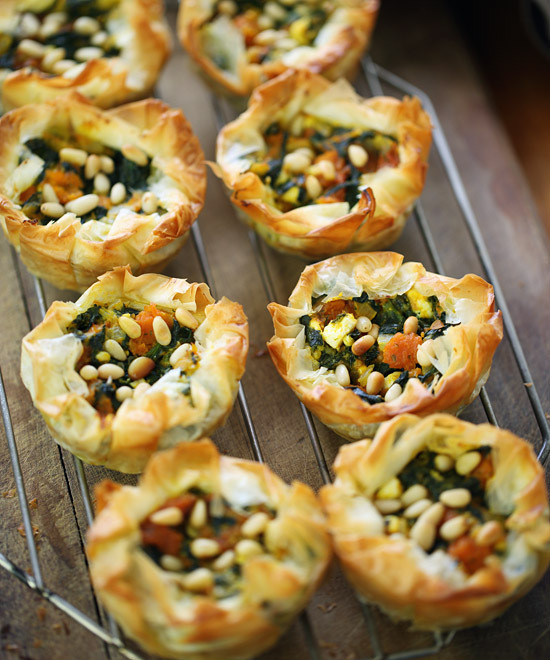 It requires just a few ingredients, takes no time at all to make, and is tasty and nutritious. With some eggs, grated Parmesan cheese, sweet potato and spinach, you can create a delicious dish that makes an easy, satisfying meal served with a salad and crusty bread. By cooking the sweet potato first in olive oil until tender and golden brown, it really brings out the natural sweetness and adds a rich, caramelized flavor. 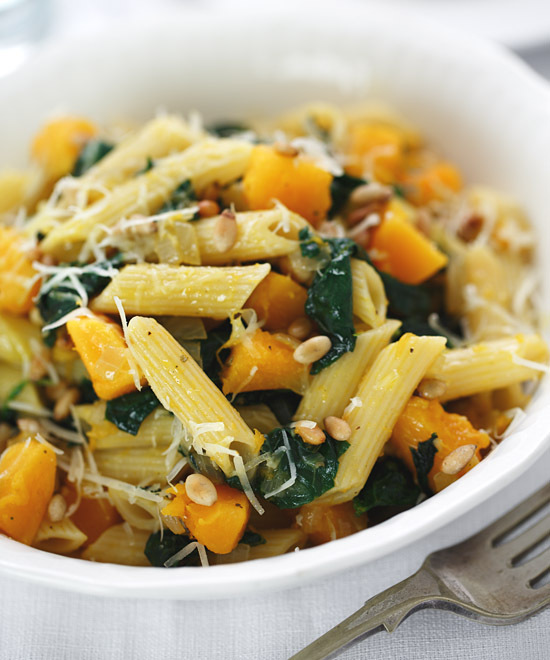 You could use cubed butternut squash instead if you like. In this frittata, we use spinach and Parmesan to enrich the egg base, but you could add arugula (rocket) or chard (silverbeet) in place of spinach, and substitute feta for the Parmesan. Frittatas are fabulously versatile. You can combine other ingredients like onions, peppers, mushrooms, zucchini, tomatoes, asparagus, potatoes, eggplant, peas, corn, garlic, herbs, cheese, bacon, ham, and canned tuna or salmon. 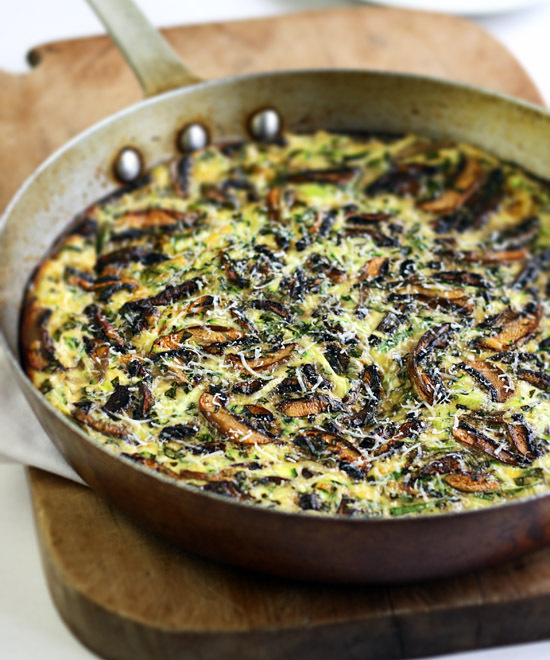 And if you have some leftover roasted or barbecued vegetables, then try turning them into a frittata. There are a couple of ways to cook the second side of a frittata. Once the bottom is browned, some people slide it out of the frying pan onto a plate, then place it back into the pan, uncooked side face down. We prefer to simply place it under the grill, still in the pan, to finish cooking on top until it’s set. It’s the easiest way, but with either method you’ve got to be careful not to overcook the frittata or it will become dry and the eggs will be rubbery. Frittatas also taste wonderful at room temperature, so they’re a great make-ahead dish for packed lunches or picnics. Frittata studded with sautéed sweet potato and spinach, and accented with robustly-flavored Parmesan cheese. HEAT the oil in a frying pan over medium heat and cook the sweet potato for 10 minutes, stirring occasionally. ADD the spinach and cook, stirring occasionally, for another 2 minutes. WHISK the eggs in a bowl with the salt, pepper and half the Parmesan cheese. POUR the egg mixture into the frying pan and shake the pan gently to distribute the ingredients. COOK the frittata over a medium heat for about 6 minutes. WHILE the frittata cooks, preheat the oven broiler (griller). SPRINKLE the top of the frittata evenly with the reserved Parmesan cheese and cook under the broiler for 2 minutes. CUT the frittata into wedges and serve warm or at room temperature.